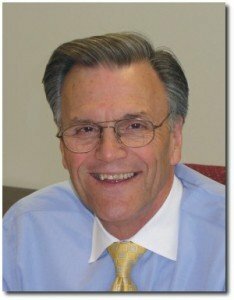 Peter L. Saltonstall is the 2011 recipient of the Invisible Disabilities Association Advocacy Honors Award. Peter has been chosen because of his advocacy, leadership and commitment to the identification, treatment, and cure of rare disorders and diseases while serving as the President and CEO of the National Organization of Rare Disorders – NORD. Peter is NORD’s President and Chief Executive Officer. He presently serves on the Humana Cares Advisory Board, the FDA Cellular, Tissue & Gene Therapies Advisory Committee (CTGTAC), and the Child Neurology Foundation Board. Peter has over 30 years of healthcare experience in both for-profit and not-for-profit environments, as well as extensive federal and commercial market knowledge. Peter has held senior positions within a number of major academic medical centers and organizations, including Harvard’s Brigham and Women’s Hospital, Tufts-New England Medical Center and St. Elizabeth’s Medical Center of Boston. Peter also has extensive startup and private equity experience, having started two companies as well as helping to launch Harvard Risk Management Foundation‘s startup venture, Risk Management Strategies, and the University of Pittsburgh Medical Center’s private equity arm, Strategic Business Initiatives. Peter was the co-founder and CEO of SafeCare Systems, LLC, which developed one of the country’s first patient safety management systems. He also played an active role on Capitol Hill in the development of the Patient Safety Act of 2005, which has dramatically improved the reporting of events that adversely affect patients. Throughout his career, Peter has developed a broad understanding of complex healthcare issues, and he remains committed to improving the healthcare system to benefit patients.